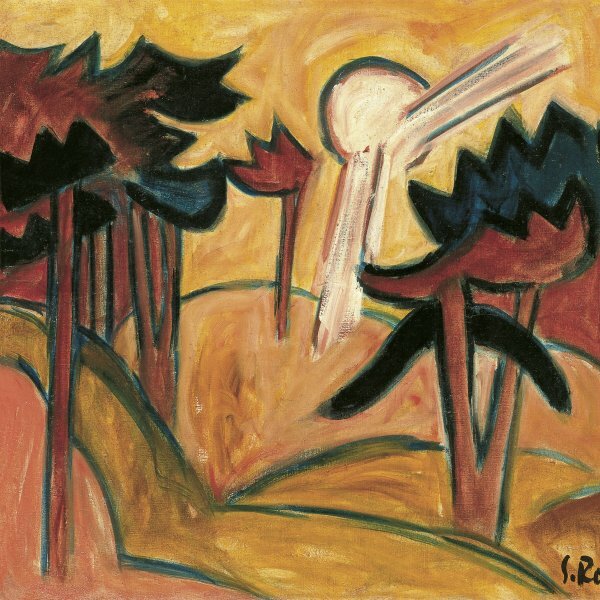 During the summer of 1936 Karl Schmidt-Rottluff produced a set of oil and watercolour paintings by Lake Leba, a remote fishing spot on the outskirts of Rumbke in East Pomerania, where he spent his summers between 1932 and 1943. 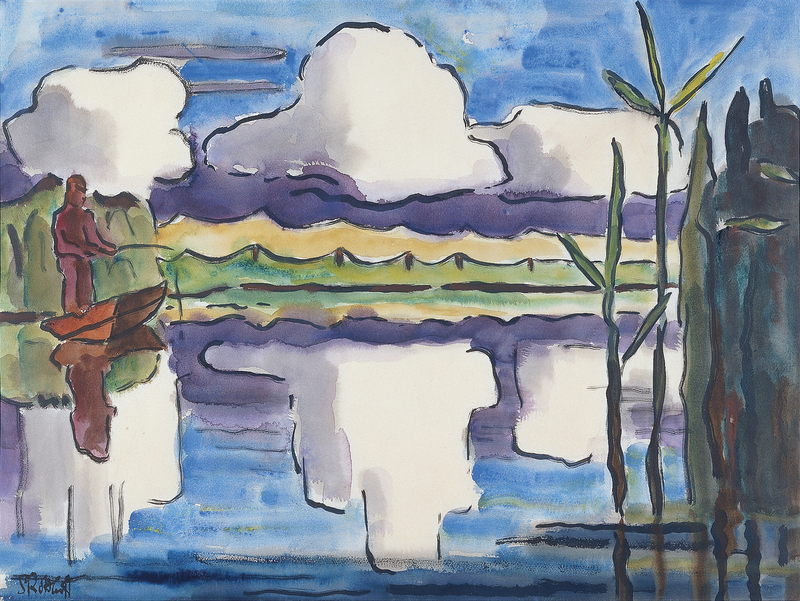 As in the rest of the works he painted that summer of 1936, particularly the oil Reflections in the Lake, in Reflecting Clouds the reflections in the calm waters of the lake are the main subject of the composition. The flat, synthesised forms of the clouds and the shore of the lake, whose contours are delimited by thick black lines, and the ambiguous play of the forms of the landscape and their reflection or duplicate in the water give the composition a somewhat abstract air. 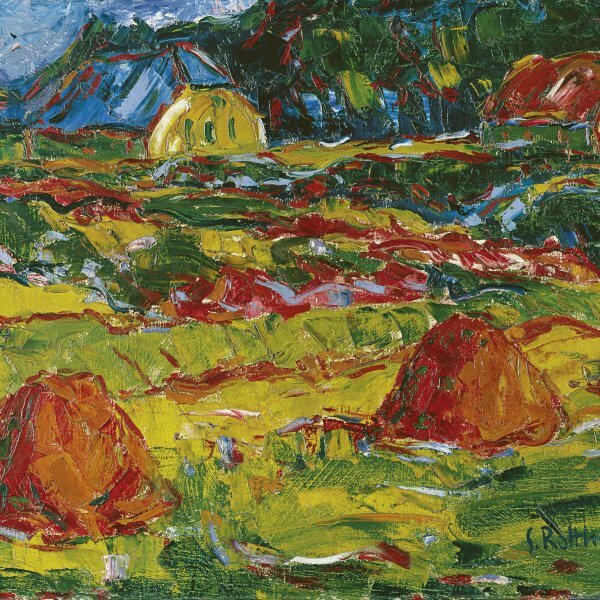 Although the scene includes a sketchy figure of a fisherman in a boat, Schmidt-Rottluff paid little attention to the locals, concentrating fully on capturing the beauty of the landscape. Furthermore, as in most of his watercolours, the artist uses a spontaneous style derived from the speed of execution of this medium. 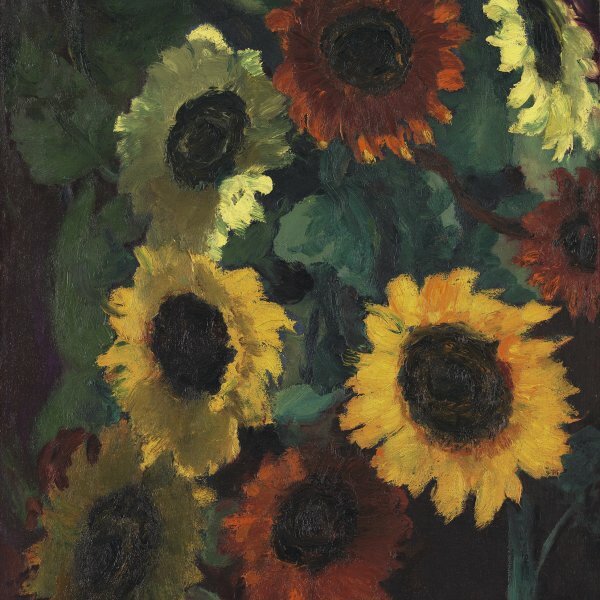 The work belonged to the art historian Leopold Reidemeister, one of the first to support the construction of the Brücke-Museum in Berlin and the author of its first catalogue.